Summer’s in full-swing and what could be better beach reading than a bag full of banned books! Carol Rose, executive director of the ACLU of Massachusetts, recently put together a list of her controversial favorites that prove not only to be great reads, but also bring awareness of freedom of expression and the larger issues of its attempted suppression which has been on the increase in the past few years. Rose’s list includes some of the usual suspects: historical fiction like The Kite Runner, which has repeatedly been challenged for violence and sexual content, or teen coming-of-age stories like The Perks of Being a Wallflower, which was removed from a Connecticut school curriculum for “mature” content. But unlike most beach reading lists, she also included comics! From Brian K. Vaughan and Fiona Staples’ award-winning sci-fi graphic novel series Saga, which has been challenged for sexual content, to Marjane Satrapi’s autobiographical graphic memoir Persepolis, which has been the target of numerous challenges for language and violence — some of the most critically acclaimed books and graphic novels coming out have also become some of the most challenged according to the American Library Association’s Top Ten List of Frequently Challenged Books. 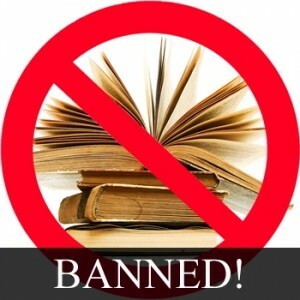 Whatever your tastes, as Rose points out, a banned book list is a great place to start compiling your beach reading list! You can view her list here.